Remember how we wrote about the wacky side of the Japanese smartphone gaming industry? Well, it looks like the whaling (aka spending lots of cash) habits of players won’t be going away anytime soon. According to sales prediction data posted by Game-i, a site that tracks sales for video games and social game apps, Fate/Grand Order made over 9 billion yen (approx. US$80 million) in September alone. The amount of money such game makes per month fluctuates due to the popularity of the events and promotions held in the game, among other things. While Fate/Grand Order made 6.4 billion yen (US$56.7 million) in October, statistics reveal that it consistently makes around 9 billion yen (US$79.8 million) or more per month. In fact, on January, February, June, and July this year, the service made over 10 billion yen (US$88.7 million). Wow. This news has been causing quite a stir on Twitter, as users compare its figures to the other games they play. 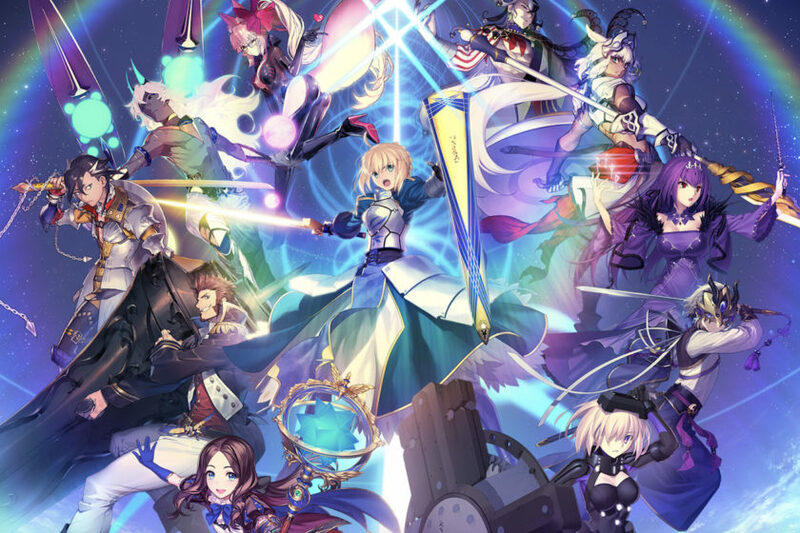 Fate/Grand Order appears to be doing even better than Pokémon GO and Granblue Fantasy, two other rather popular smartphone games in Japan which made estimated earnings of 3.7 billion (US$32.8 million) and 3.4 billion (US$30.2 million) respectively in October, although it’s still behind Monster Strike, which made 14 billion yen (US$124 million). Aniplex released Fate/Grand Order in Japan in summer 2015. The game received an English release in the United States and Canada in June 2017, which has since expanded to cover more regions. Fate/Grand Order will receive more TV anime and film projects this year… and it doesn’t take a genius to find out where all the funding is coming from.